Most agriculturists, even those commonly working with rice farmers, have little knowledge of the specialist crop known as deepwater rice, yet it is the major subsistence food for some 250 million-plus people in south and south-east Asia. This "electronic book" seeks to expand knowledge of this unheralded crop which is at the centre of a remarkably sophisticated farming system. 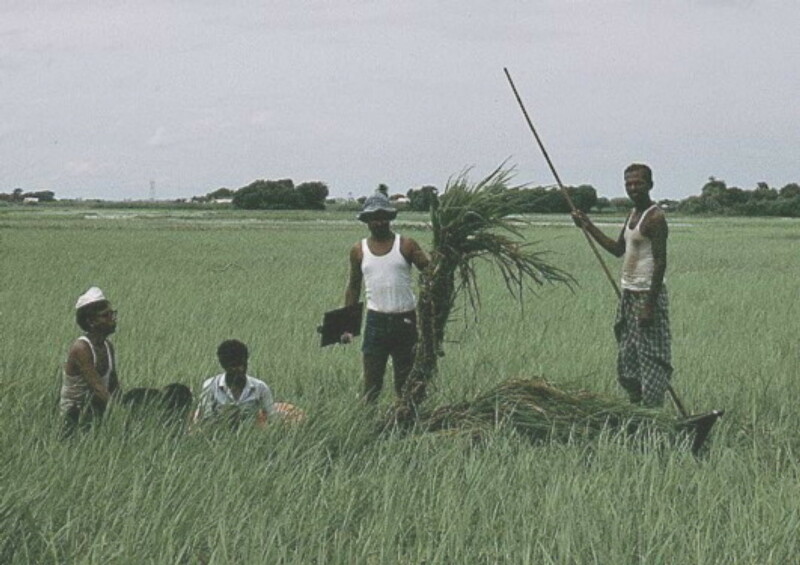 The cultivation in Bangladesh is used as the core of the text. First a short section asks the reader to question their perception of Bangladesh and reveals fundamentals of the crop. Next an annual chronology reveals the farming year. Finally problems, actual and potential, facing the crop production are described, drawing primarily on the author's work on a research and development programme between 1981 and 1983. This includes an extensive analysis of investigations of the impact of infestation by the Yellow Stem Borer, Scirpophaga incertulas; a section illustrating some of the other pests and diseases; and, collations of views of the field sites and areas visited in the course of the investigations. Many original photographs are used. Brian Taylor publications Comments to dr.brian.taylor@ntlworld.com href="/dwr/dwrcover.htm"